Now all the Geneva Motor Show hubbub has simmered down we can have a look at what the major talking points were. Who forgot to bring a car - and of those who did come along, who had the biggest surprise in store? Take a look at our five controversial talking points below. Expectation wasn’t necessarily that high for the Aston Martin stand at Geneva, but boy did the company come up with the goods. There was no great fanfare, no daft promises, no famous ambassadors to speak of – no James Bond, even – rather just two fascinating cars. Have that. Firstly there’s the polarising DBX, which doesn’t have the conventional beauty you’d expect of an Aston GT, true, but give the company some credit – at least it tried to do something different, rather than a generic, Aston-badged 4x4. 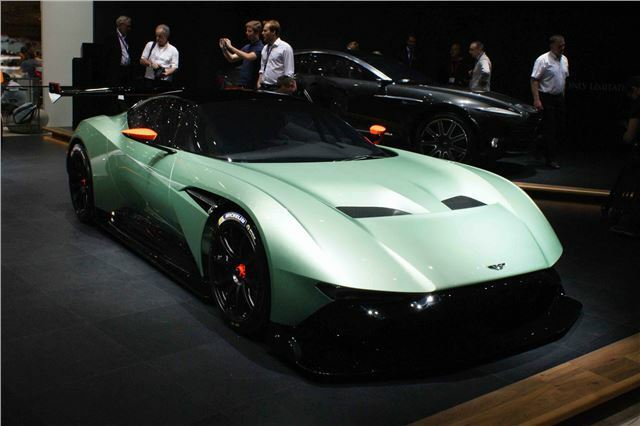 And then there’s the £1.8m, 7.0-litre Vulcan, above, which is another Marmite Martin, but puts the company into the stratosphere performance-wise – and brings the kind of kudos very important to the average man with Aston Martin money burning a hole in his stay-pressed velour slacks. Well done, Aston Martin.